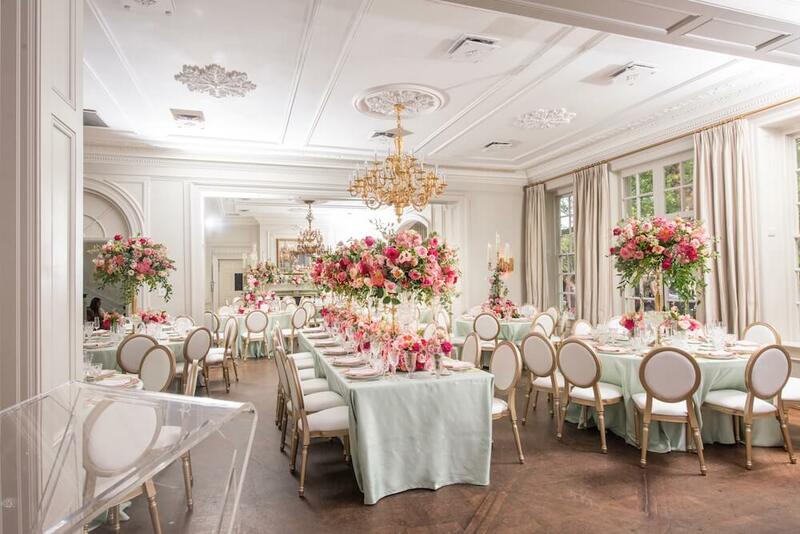 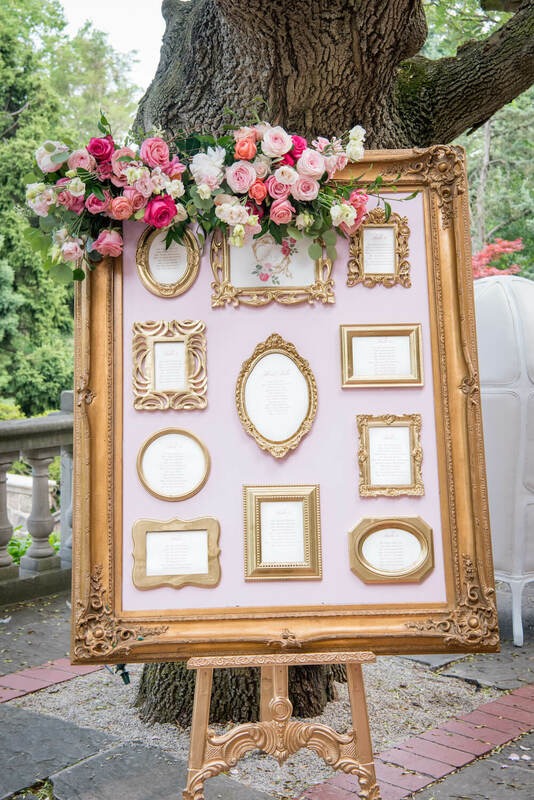 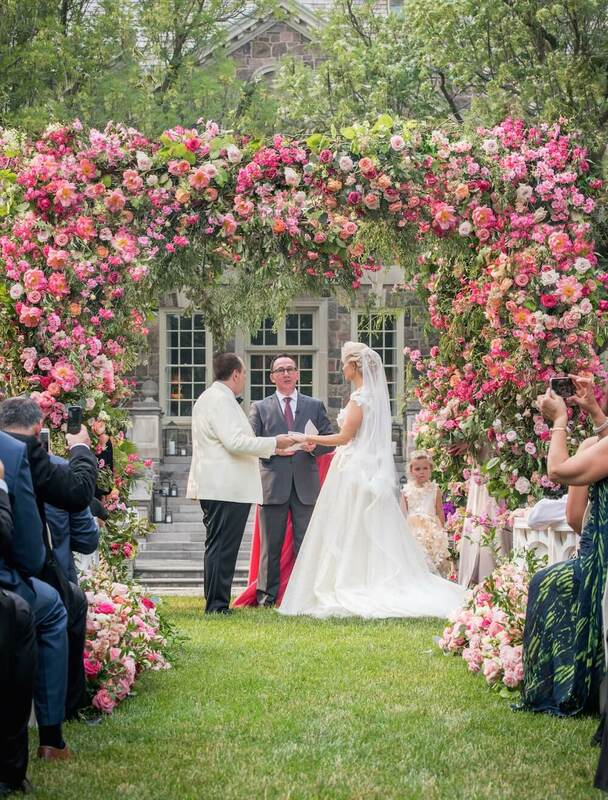 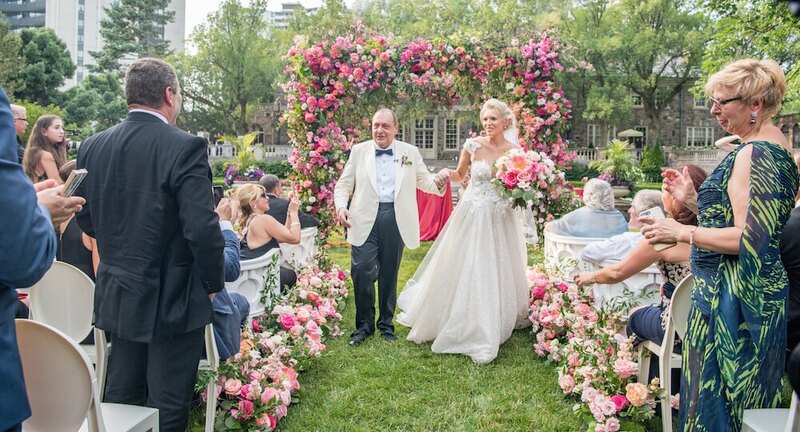 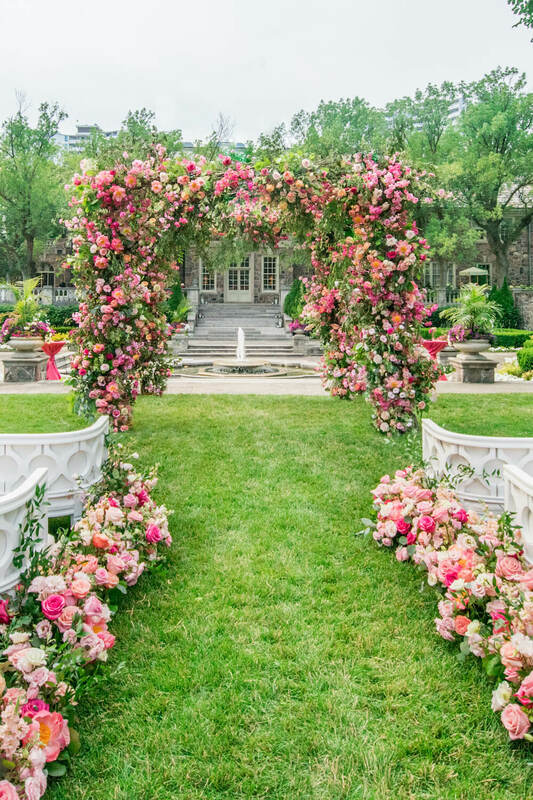 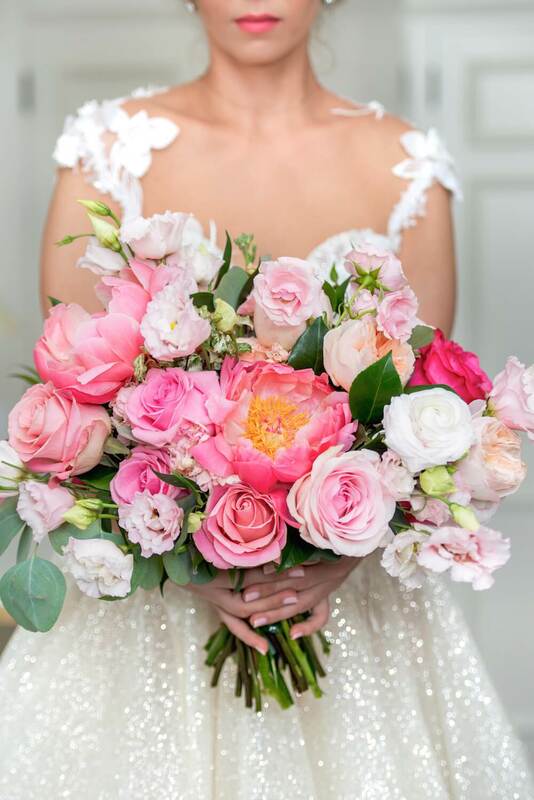 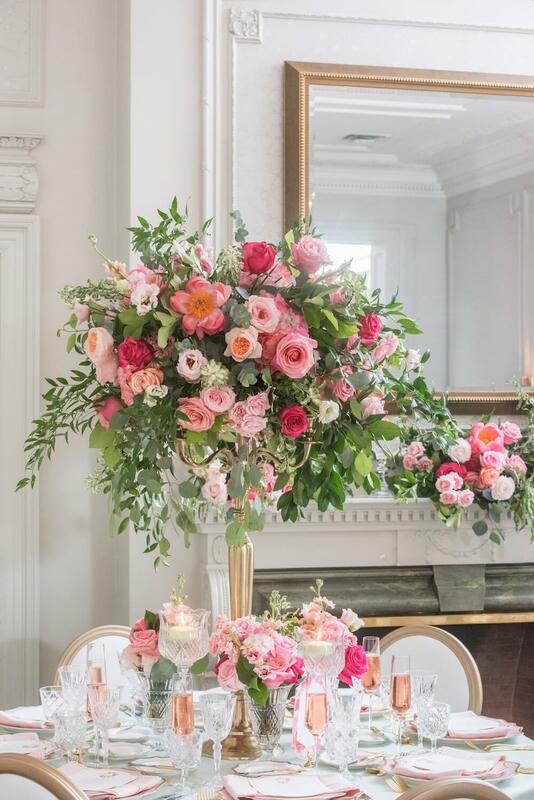 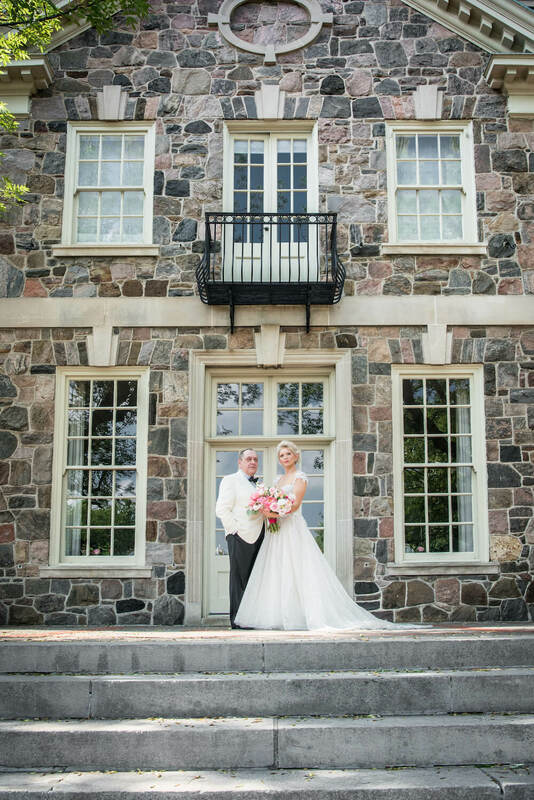 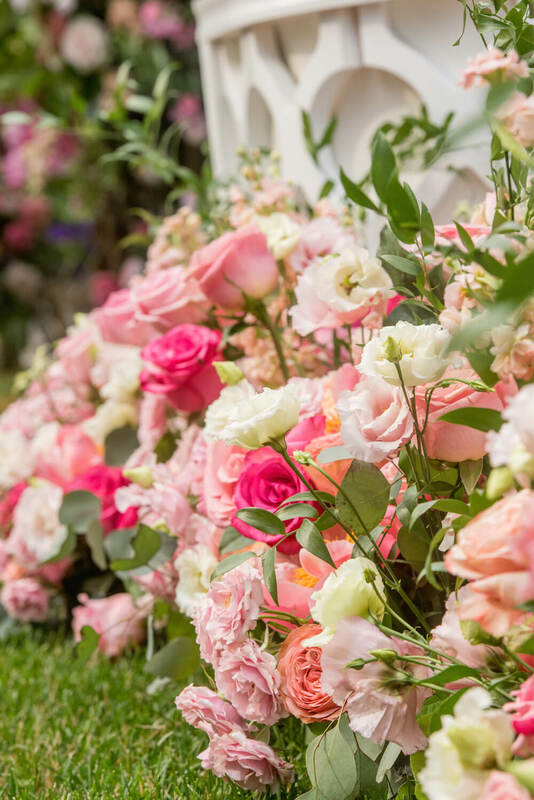 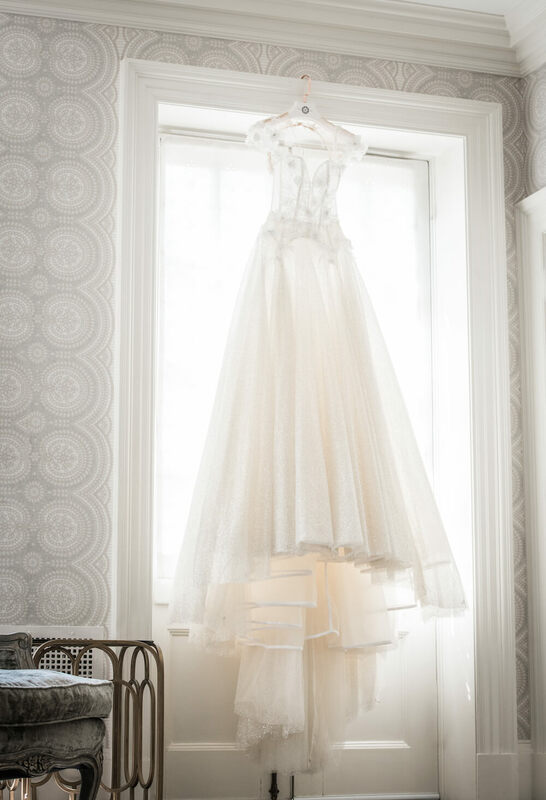 On the hottest day in the summer our team created the most spectacular garden wedding display of gorgeousness for Yuliya and Gary at Graydon Hall Manor. 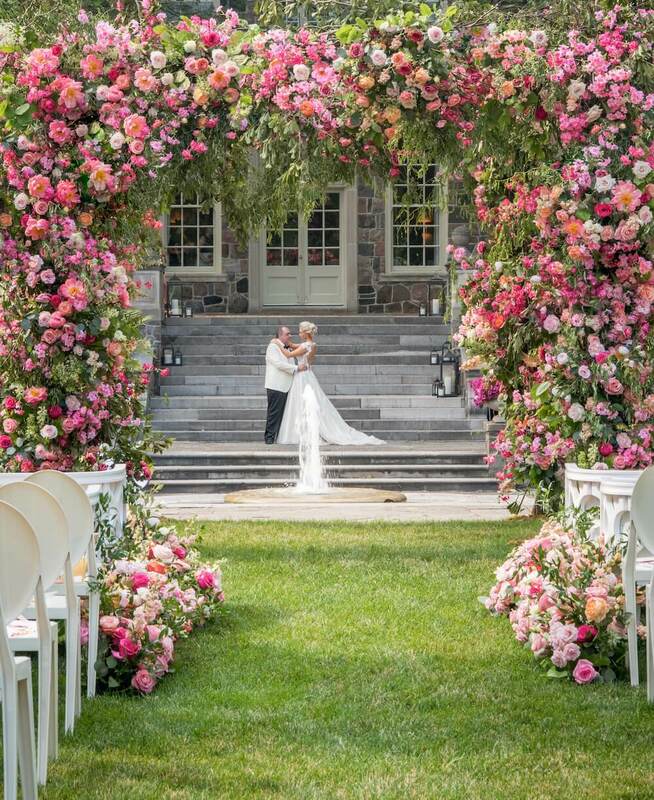 It was a challenge to keep the blooms looking fabulous but we were thrilled with the outcome of the couples stunning flower chuppah showpiece. 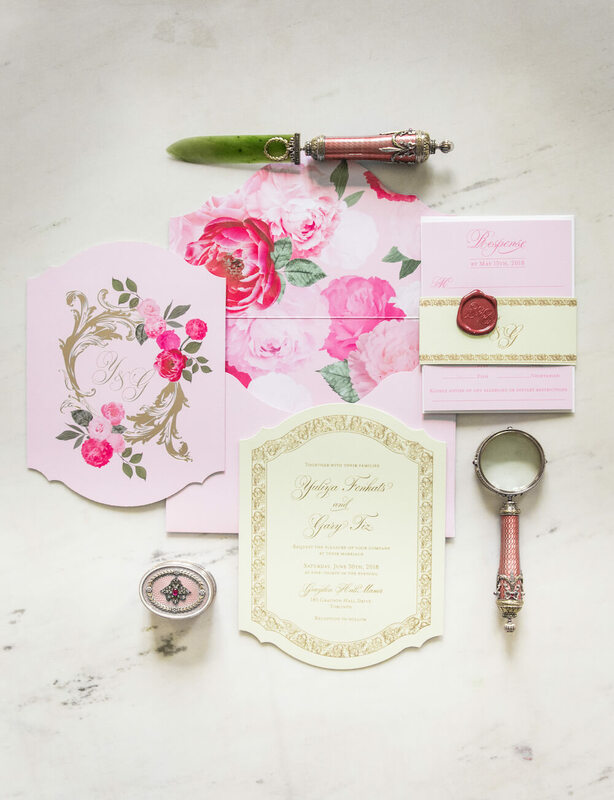 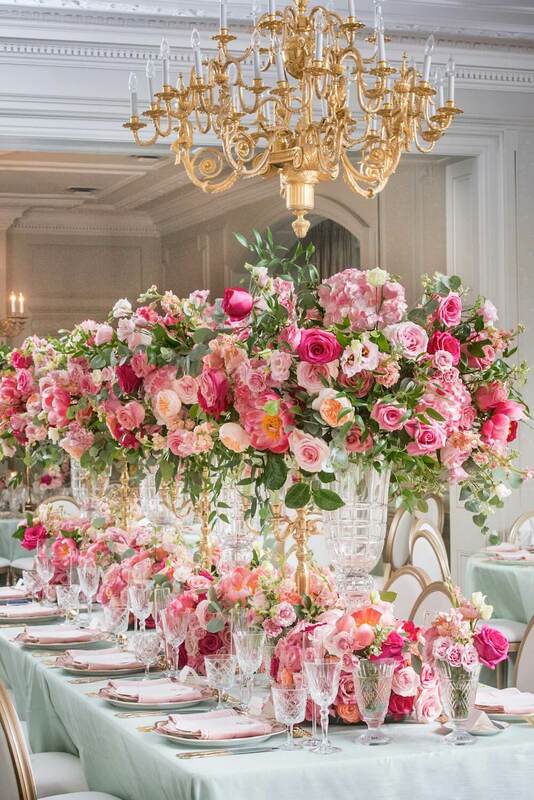 Yuliya wanted rich tones of pinks and corals, and was inspired by french Parisian style of decor. 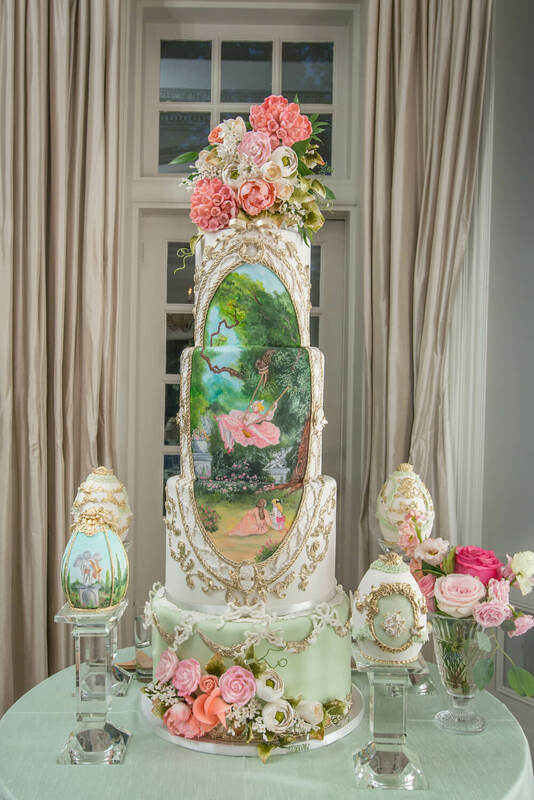 Ornate details included a spectacular four tiered opulent cake by cake detailed with beautiful gold guilding and surrounded by luxurious fabrege eggs all created by extraordinaire Fine Cakes By Zehra. 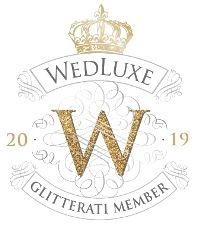 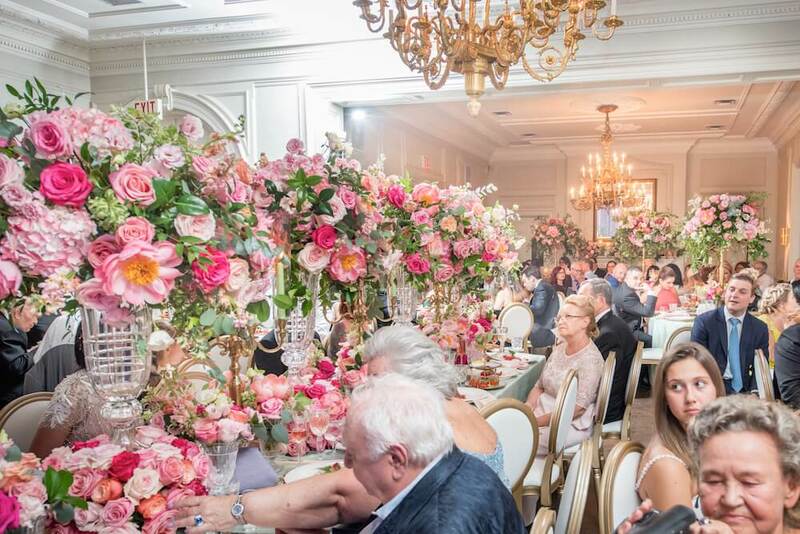 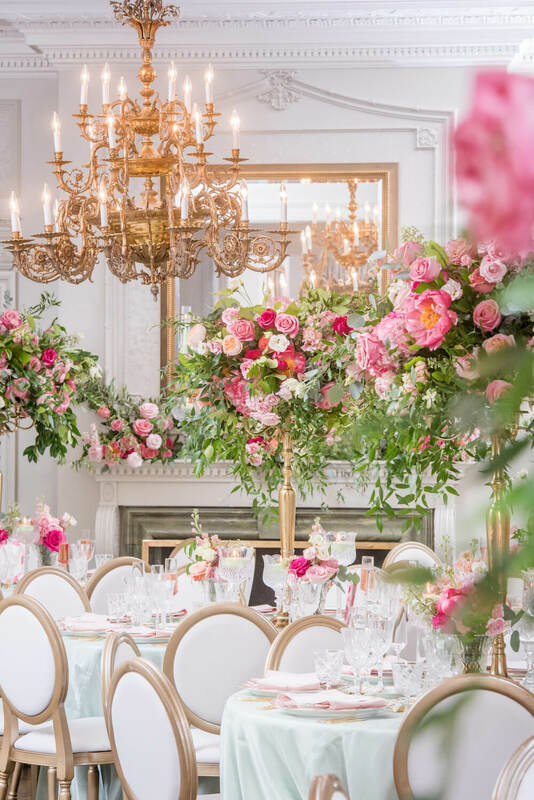 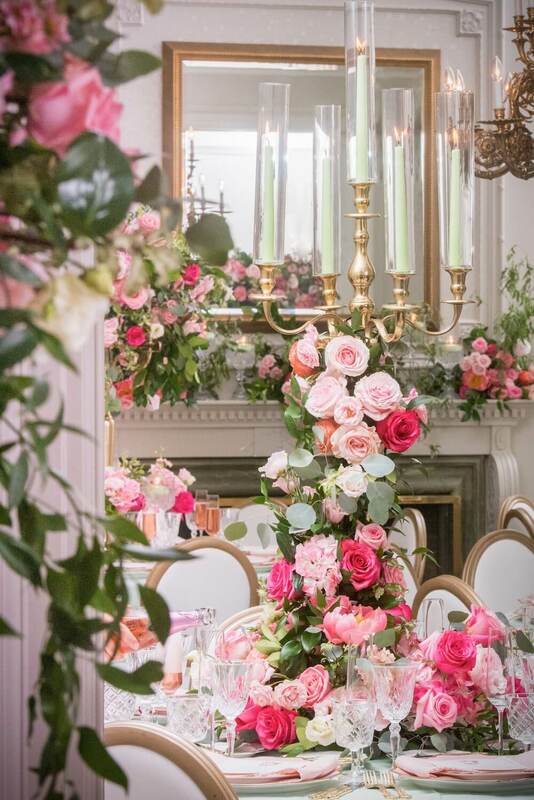 Other floral and decor accents included the most spectacular centrepieces which included gold candelabras with spiralling florals as well as oversize florals in crystal vases. 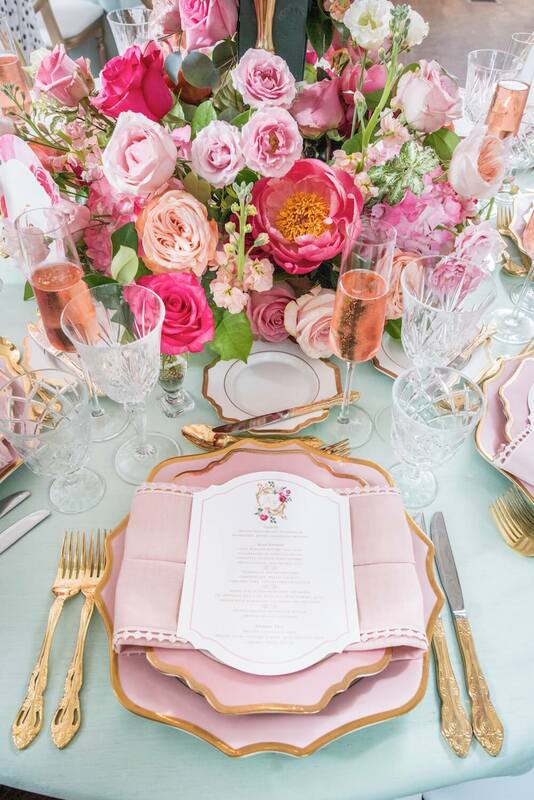 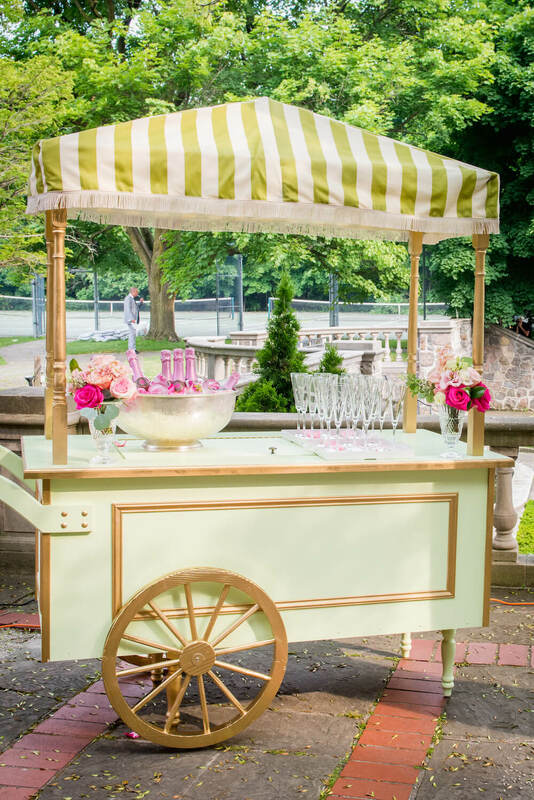 The coral and pink palette looked fabulous on sea green linens for a unique and beautiful colour palette.